Welcome back to the EYG version of the Top Ten Show. This week’s topic is Sports Biopics. Again, thanks to John Rocha and Matt Knost for their entertaining weekly podcast that provides us with the topic for the week. Here is a link to their show. So at first, I wasn’t sure I could find enough to make out this list, but then I did a little digging and discovered that there were more than I thought and that several of my favorite sports movies were actually true stories. There are several on my list this week that might be closer to biopics on the whole teams, and, while the Top Ten guys eliminated those from their lists, I am keeping them on mine. One big problem with my list in this topic is… technically I have never seen Raging Bull. I know…I know… but I haven’t seen it. So I am leaving it off the list with the full knowledge that it should probably be there. #10. The Rookie. This is the story of a left handed reliever named Jim Morris, a high school coach who was, at one point, a former pitcher in the minors. He had tore up his shoulder and had to retire. 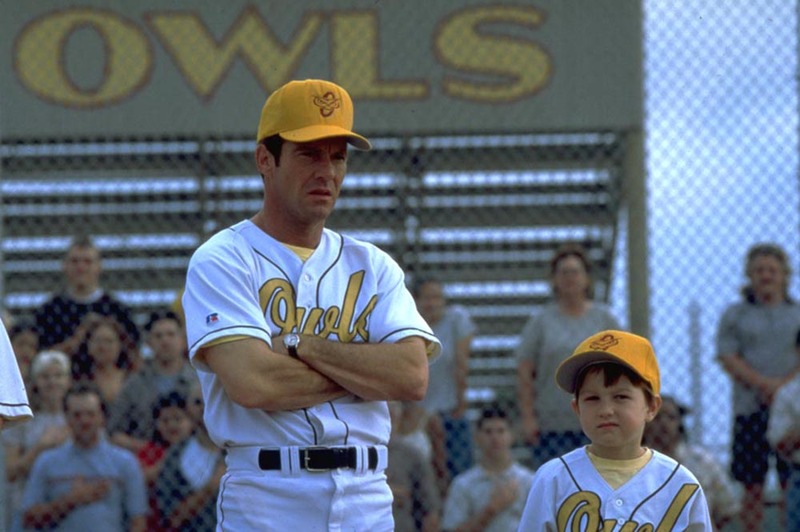 Years later, Morris was coaching and his team seemed to believe that his fastball might still be there. And this was his comeback as a 40 year old rookie. #9. Beyond the Mat. Matt Knost included this one on his list and I thought it was a great choice. It really showed the dark side of the world of professional wrestling. 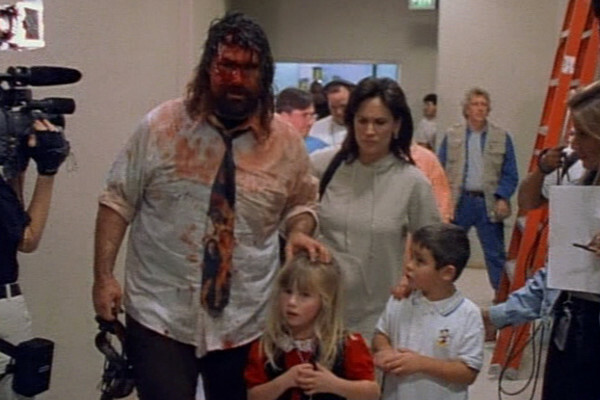 Now, I do believe that it specifically went out of its way to look for the darkness and to target those at their lowest, but you cannot deny the drama of seeing Jake Roberts with his daughter or Mick Foley getting through the next match with so much pain. I considered other WWE documentaries for this list, but in the end, I stuck with this one only. #8. The Blind Side. Featuring the story of NFL player Michael Oher, who came from an impoverished background, in a home where his mother could not provide the kind of stable life needed, Michael wound up in the home of the Tuohy family. They wound up adopting him and he found his way upon the grid iron. Sandra Bullock won an Academy Award for her role in the film. #7. The Fighter. 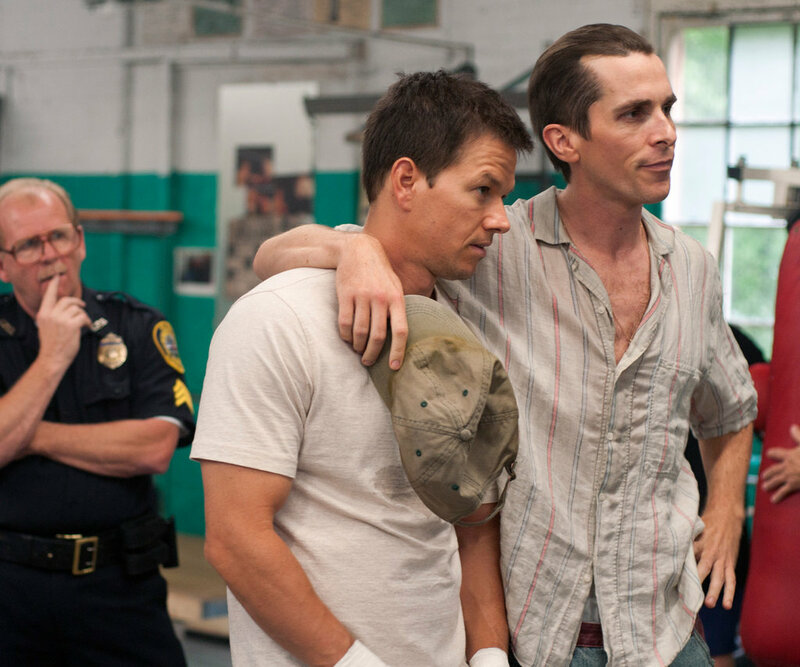 David O. Russell’s film focusing on boxer Micky Ward, played by Mark Wahlberg, and his older half-brother, Dicky Eklund, played by Christian Bale. Though much of the narrative of the film centers on Dicky, this is still the story of Micky Ward. Wahlberg and Ward were apparently friends and that helped inspire Wahlberg to take the role. I remember feeling so bad for Micky because of his brother that I was pulled in to the tale. #6. Moneyball. Oakland A’s general manager Billy Beane was at the head of a new push in Major League Baseball that would focus on numbers/stats that would become known as Sabermetrics. Beane knew that as the GM of Oakland, he would never be able to compete with the big money teams like Yankees or Red Sox so he started to look at the numbers. When a player became too expensive, replace him with less flashy players who you could combine to replace the missing stats. This led to quite a revolution, whether good or bad, in MLB. 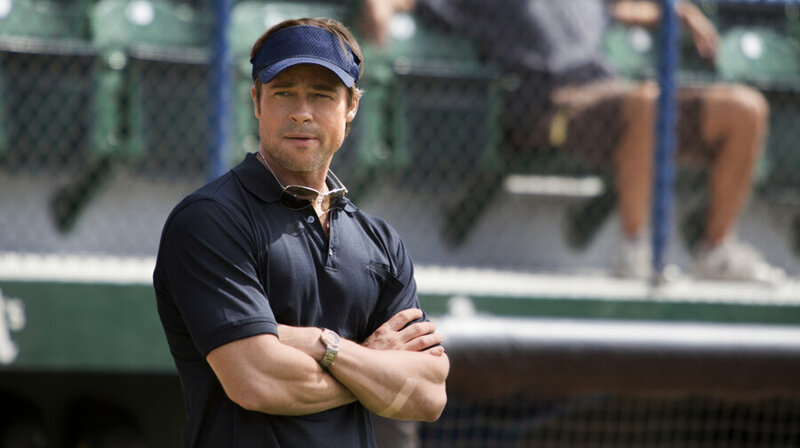 Brad Pitt was excellent as Beane. #5. Rush. I had no intentions or expectations of liking this movie. I have never been a fan of auto racing and the trailers seemed to be heavy on areas that I did not like. However, director Ron Howard brought the goods in this film detailing the story of Niki Lauda and James Hunt and the rivalry between the two of them during the Formula One seasons in the 1970s. Daniel Bruhl and Chris Hemsworth really were fantastic in these roles and I loved Rush way more than I had any right to. #4. 42. I am a huge Dodger fan and the story of Jackie Robinson, MLB’s first black player, is a can’t miss. 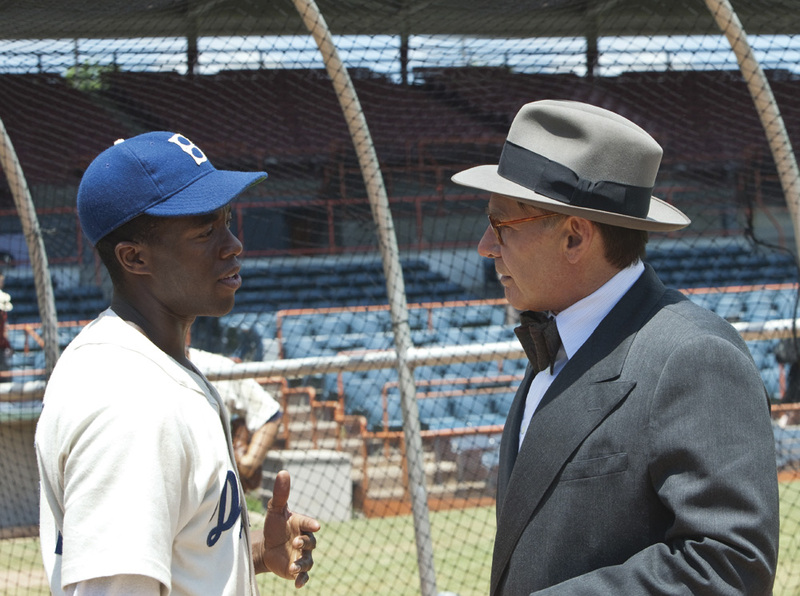 I found this extremely entertaining, with great performances by Chadwick Boseman as Jackie and Harrison Ford as Branch Rickey. There are some unbelievable scenes shown here describing the terrible things Jackie had to go through just to play the game. It makes one wonder how people can be so cruel to one another. #3. Foxcatcher. This is the tragic story of Mark and David Schulz and their relationship with wrestling enthusiast John E. du Pont. A relationship that saw the creation of the Foxcatcher wrestling training camp but led to the shooting of Dave by du Pont. Steve Carell showed off his dramatic acting chops with a role that few had expected from him as du Pont. #2. Miracle. “Do you believe in miracles?” shouted Al Michaels as the US hockey team defeated the USSR Hockey team in one of the biggest upsets in sports history. Miracle tells the story of this team and the coach Herb Brooks. The film does a great job of capturing what was perhaps the USA’s greatest Olympic moment ever. So there is my list/ I do not have much of a list of honorable mentions for this topic. As I said, I considered some of the excellent WWE videos that they created on their stars such as Jake Roberts, Dusty Rhodes, The Road Warriors, Bret Hart, but I decided to leave those off the list. Other possible honorable mentions: Coach Carter, Concussion, Unbroken, Race. What I realize really is that I have not seen enough of this genre because a bunch of these are missing from my viewing. Maybe I have to watch a few more of them.